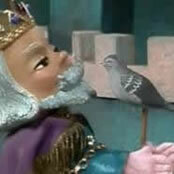 Mimus Polyglottos is one of King Friday's pet wooden bird. 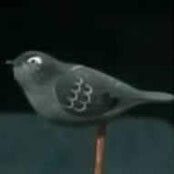 Perched on a stick, Mimus shares the role of royal pet with Troglodytes Aedon. Mimus Polyglottos enjoys pretend showers and ballet. He and Troglodytes Aedon once went missing when they were taken for a walk by Robert Troll. 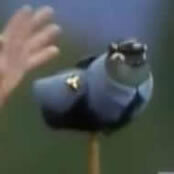 Appearing as the policebird, Mimus Polyglottos took part in Lady Elaine Fairchilde's soap opera, As the Museum Turns. "Mimus Polyglottos" is the scientific name for the Northern Mockingbird.